Due to its acid sensitivity, marble must be cleaned using an alkaline cleaning solution. We give the solution approximately 20 minutes of dwell time. This gives the cleaner time to emulsify the dirt that is embedded into the stone and grout. We then use an industry accepted spinner tool which provides pressure coupled with vacuum for extraction. Due to its alkaline mineral content, travertine etches whenever an acidic liquid or other compound comes in contact with the surface of the stone. This includes many common cleaners. The more acidic the substance, the faster etching occurs. Marble polishing takes care of superficial scratches and minor etching that occurs throughout the course of daily activities. Our marble polishing process leaves a deep, natural shine, with clarity and depth, which you just cannot achieve with an artificial coating. Marble can be honed to a matte or satin finish through a grinding process. We can also remove severe etching and deep scratching through our marble honing service. Honing is often needed to remove damage, and it is often used to provide a less glossy finish to the stone. 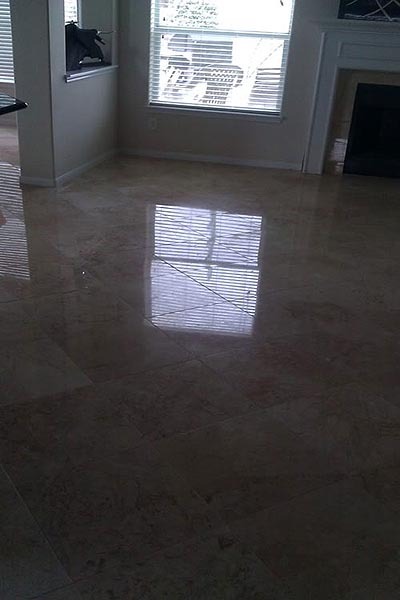 A polished marble floor will scratch very easily compared to a harder stone like granite. Sand, which has a hardness rating of 7 on Moh’s Scale will scratch marble if it walked onto as most marble has a hardness rating of about 3. 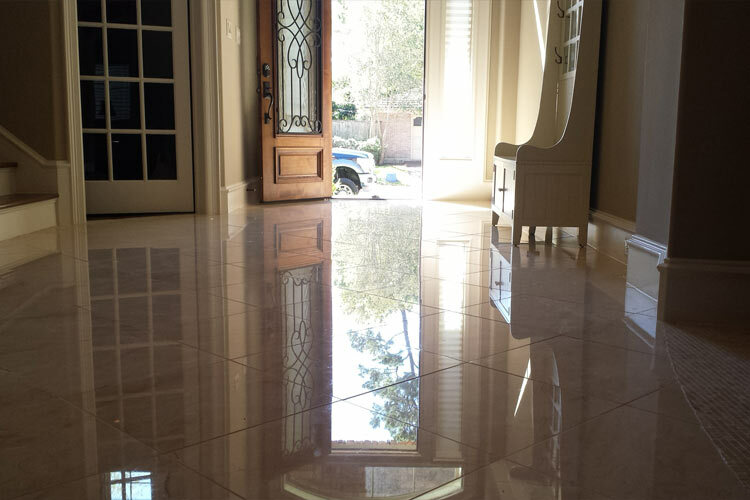 The reflectivity after polishing marble is caused by natural crystals in the stone. When sediment and grit are walked, dragged or scraped across the stone, the crystals become damaged and the surface is not longer even, causing a loss of reflectivity and shine. It is important to protect your marble with good barrier matting as a preventive step. Keeping indoor slippers to change into by the door is also recommended as outdoor dirt and grit can become trapped in the tread of the shoes. Taking these measures will help to prevent the loss of shine. Marble can be extremely porous if it is honed rather than polished and so it is imperative that it is properly sealed with a penetrative sealer prior to usage. Polished marble does not necessarily need to be sealed due to something called the Beilby layer. 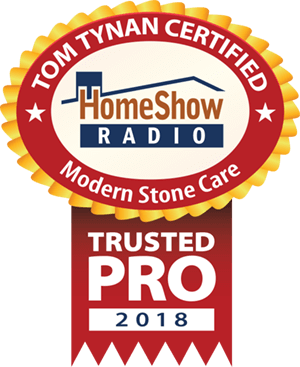 Any stone needs a well planned maintenance schedule in place to preserve it and to delay restoration procedures for as long as possible. One way to accomplish this is to follow a daily maintenance schedule. Daily maintenance should consist of dry dust mopping using a clean rayon mop. Regular damp mopping will also be required. This should be carried out using a quality PH neutral stone soap alternated with fresh water. It is important that soap residue not be allowed to build up on the surface of the stone. Residue from soap will reduce light reflectivity of the surface of the stone. When a soap is used multiple rinses will be required, frequently changing the rinse water. Spills should be cleaned up promptly to prevent staining or etching. Acid based chemicals use for other household cleaning should never be used on marble as they can damage the surface of marble and other calcite stones on contact. Similar damage from acid based foods and drinks can be avoided if not left to dwell. Regular professional natural stone floor maintenance will be required to maintain a good shine on the stone. This will involve the use of polishing powders. 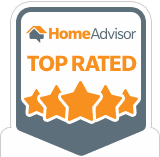 Any staining which has occurred may be removed using a poultice powders and other specialist methods prior to polishing. 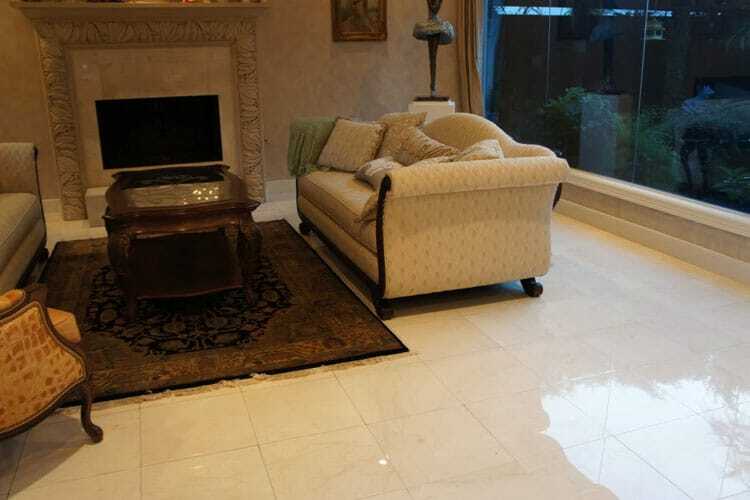 At some point in time a full marble restoration service will be required. 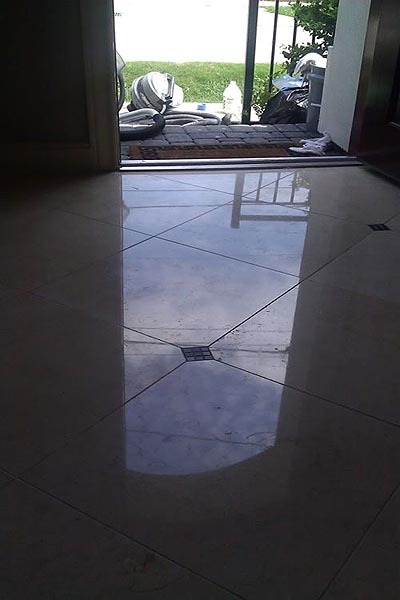 This will be due to the large amount of cracking, deep scratching, unsightly lippage, moving tiles, grout damage, high traffic patterns, problem staining or any other defect which cannot be remedied by polishing marble alone. Resurfacing of the marble will require a diamond abrasive procedure referred to in the industry as diamond grinding. This is carried out after any epoxy repair work. The marble is then polished or left honed and then re-sealed. 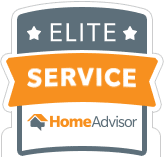 Call today for a no-obligation survey on your marble project or click here to fill out a service request.